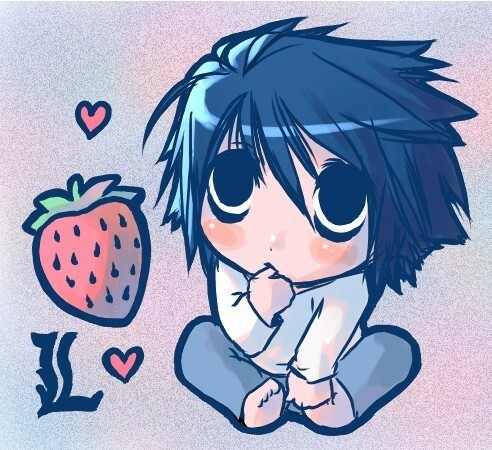 《K.O.小拳王》 l. . Wallpaper and background images in the 死亡笔记 club tagged: death note death note chibi l strawberry. This 死亡笔记 fan art might contain 动漫, 漫画书, 漫画, 卡通, and 漫画卡通.